WASHINGTON — Members of the House space subcommittee say they want to take a limited approach to regulating new commercial activities in space, rejecting the conclusions of a report by the Obama administration last year that called for something closer to a licensing approach. 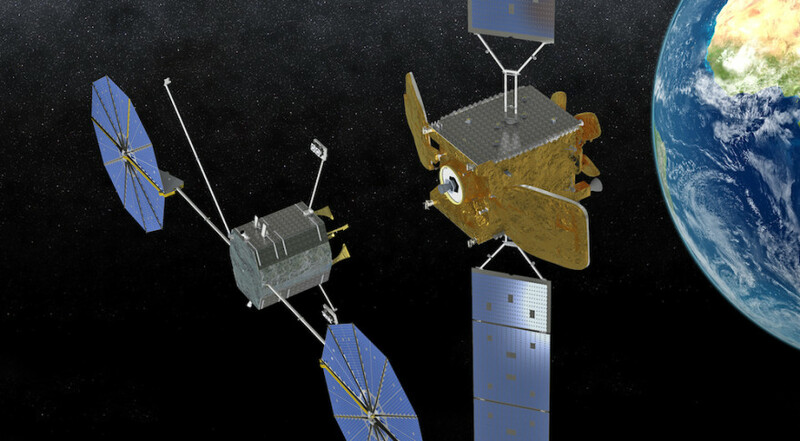 At a March 8 hearing of the subcommittee, members and witnesses grappled with the issue of how the government should oversee emerging commercial space activities in order to comply with obligations to the Outer Space Treaty, including whether such oversight is, in fact, required. Such “authorization and continuing supervision,” as specified in Article 6 of the treaty, is handled today by various agencies for commercial communications and remote sensing satellites and for launch. It’s less clear who would regulate new activities, ranging from commercial lunar landers to satellite servicing efforts, creating uncertainty in industry about who, if anyone, could provide that authorization and continuing supervision. An April 2016 report delivered to Congress by the White House’s Office of Science and Technology Policy, required by Section 108 of the Commercial Space Launch Competitiveness Act of 2015, recommended what it called a “mission authorization” approach for providing that oversight. This approach would be modeled on the payload reviews performed by the Federal Aviation Administration during the launch licensing process, including an interagency review of proposed missions. While the mission authorization concept had won support from many in industry, as well as the FAA and some members of Congress, a change of administrations and its approach to regulation has emboldened some who want to limit industry regulation. “Unfortunately, the Obama administration issued a report last year that called for expansive regulations over all types of private space activities,” said Rep. Lamar Smith (R-Texas), chairman of the House Science Committee, at the hearing. He cited a “crisis of overregulation” in general as a reason to oppose the previous administration’s proposal. “The public debate has shifted in the last few weeks,” he continued. “Instead of presuming that expansive new agency regulatory powers are needed, the conversation is shifting to how to minimize agency regulation and avoid it all together.” He didn’t elaborate on that public debate, although President Trump signed an executive order Jan. 30 requiring agencies to propose eliminating at least two existing regulations for each new regulation it proposes. Some witnesses agreed, saying the mission authorization and similar approaches were overly burdensome on companies and gave the government too much ability to reject companies’ plans. “This framework is unnecessary to meet our international treaty obligations. It is also exceedingly impractical and disruptive,” said Eli Dourado of George Mason University’s Mercatus Center. Laura Montgomery, a lawyer who previously worked at the FAA on commercial space regulatory issues, argued that the Outer Space Treaty’s language regarding authorization and continuing supervision has been misinterpreted. “Many claim that Article 6 prohibits commercial operations in outer space unless the government authorizes and supervises” those activities, she said. That treaty language, she said, is not “self-executing,” which means it does not create an obligation for companies unless Congress acts. She argued that the proposal offered by the Obama administration was overly broad. “If Article 6 truly meant that all activities had to be overseen, where would oversight stop?” she asked, suggesting it would require oversight of all activities, even those not regulated on Earth. “I think there’s some really good reasons for having some form of authorization and supervision,” said Dennis Burnett, adjunct professor of law at the University of Nebraska’s College of Law. That would, he said, provide some regulatory certainty for companies and for encouraging other nations to take similar approaches. Rep. Jim Bridenstine (R-Okla.), who has previously proposed an “enhanced payload review” process similar to mission authorization, suggested some activities, like satellite servicing, required more regulation than asteroid mining because of the perceived military applications that would draw the attention of the State and Defense Departments. “We have to have a mechanism to initiate the interagency process that ultimately results in an authorization,” he said.